One of the best small art towns in the country. Cody is home to an inspired community of Western artists, a growing number of fine art and photo galleries, and the renowned Buffalo Bill Center of the West. The varied landscape surrounding Buffalo Bill's town in the Rockies, the abundant wildlife, the quality of light and atmosphere all continue to inspire painters, sculptors, and craftsmen working in a varitety of styles and media. Cody's annual celebration of the arts has blossomed over the years into a community-wide festival featuring three events known collectively as the Rendezvous Royale. 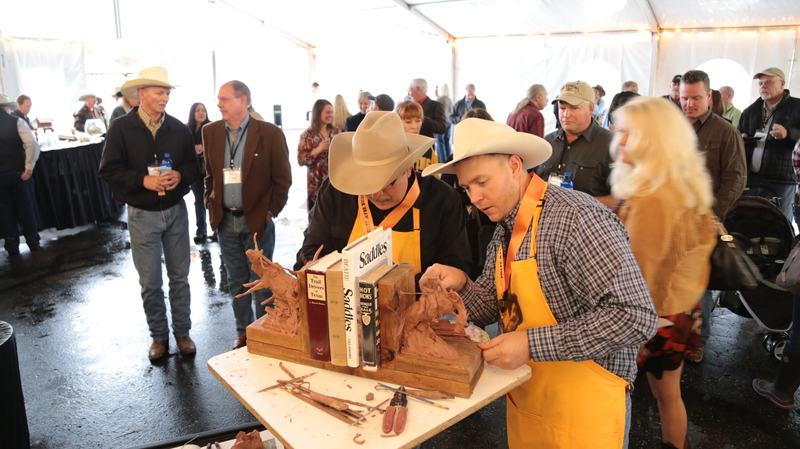 The Buffalo Bill Art Show & Sale remains the cornerstone of a four-day celebration that also features the Buffalo Bill Center of the West Patron's Ball. Formally established in 1964, the Cody Country Art League shares its location with the Cody Country Chamber of Commerce in the original Buffalo Bill Museum on Sheridan Avenue in downtown Cody. The Cody Country Art League is a non-profit organization dedicated to the promotion of art and artists. With ever-changing displays, competitions, and featured artist shows it promotes, encourages, and highlights local and area artists. Educational opportunities are made available through professional artists and quality instructors that share their talents and knowledge. Affordable classes and workshops are offered for all ages and abilities.